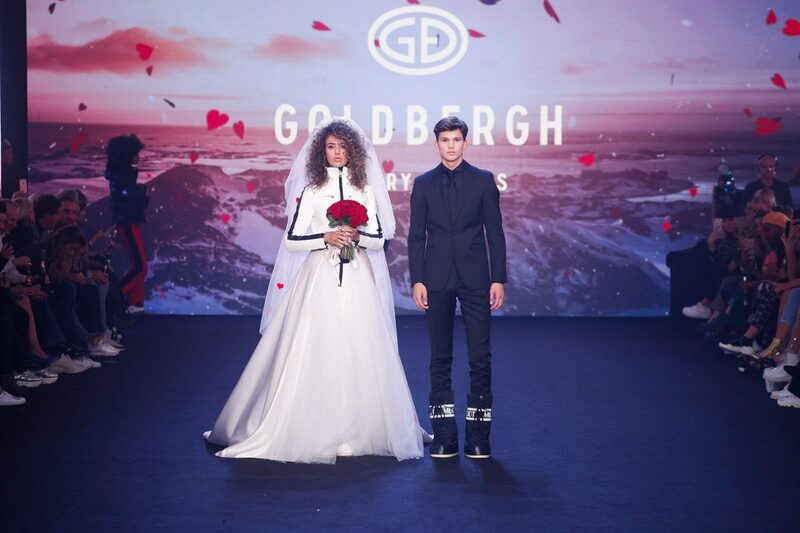 Anyone who isn’t familiair with the brand Goldbergh might assume we were attending a fashion show from an international label. 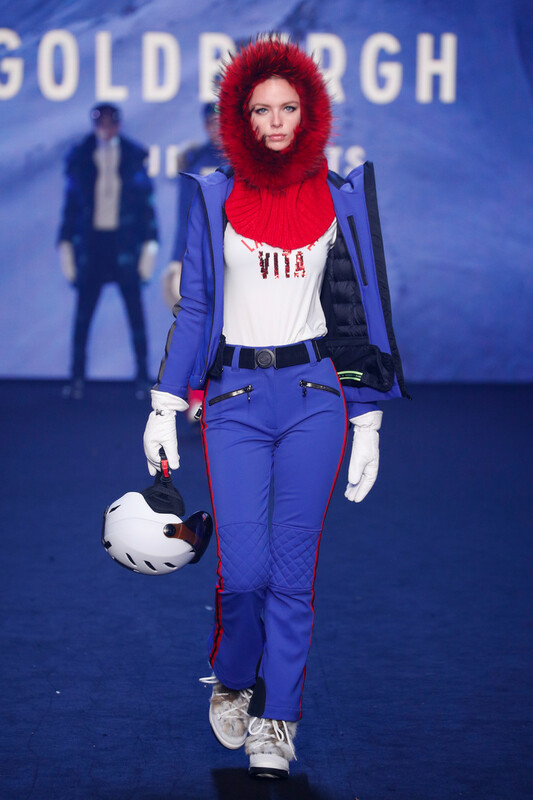 The introduction video, the music (mostly with Italian singing voices) and the backdrop clips all had a very international feeling to it. 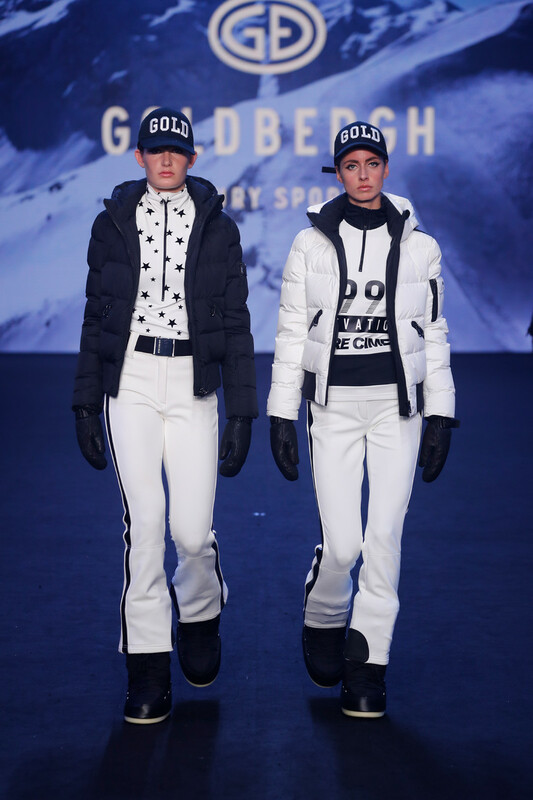 Truth is Dutch women Sandra Peet and Lieke van den Berg launched the label in 2010. 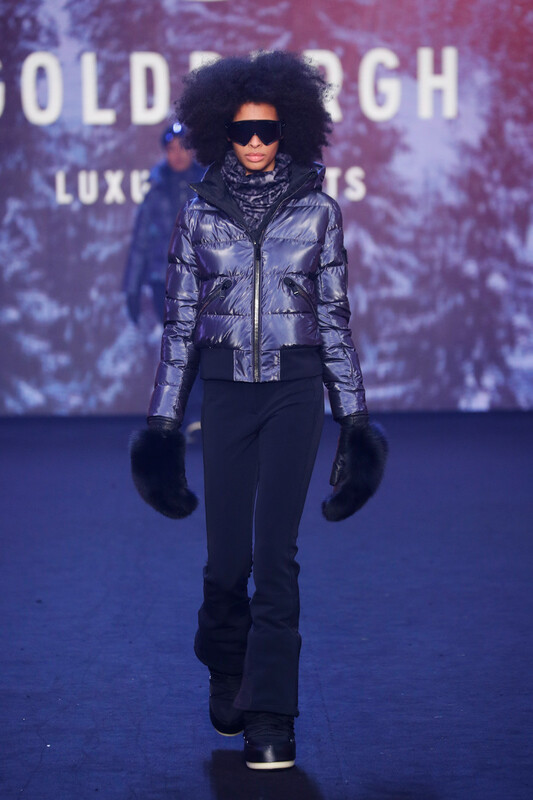 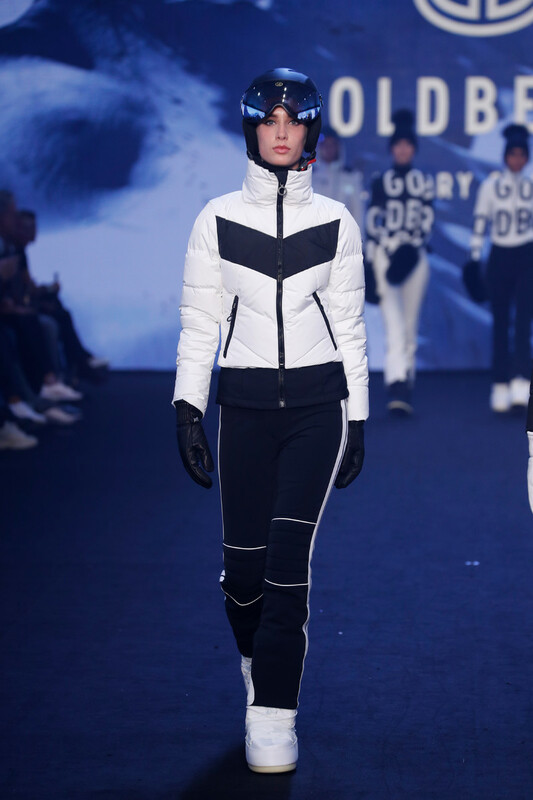 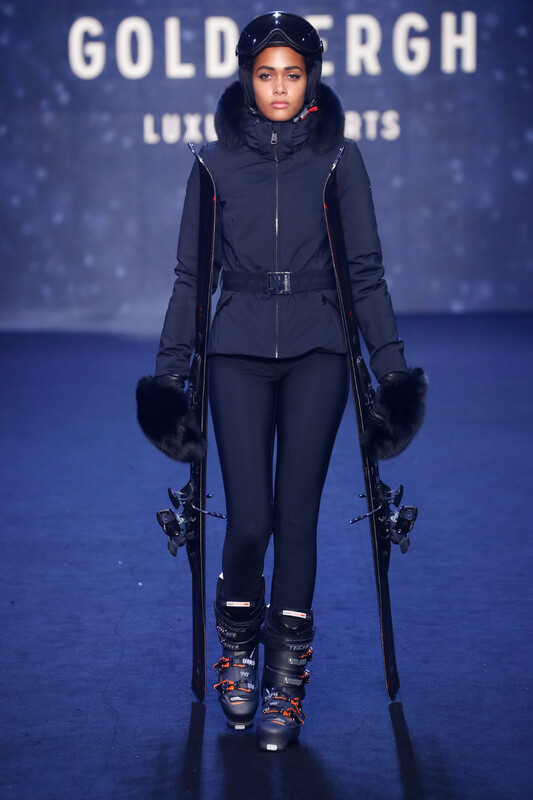 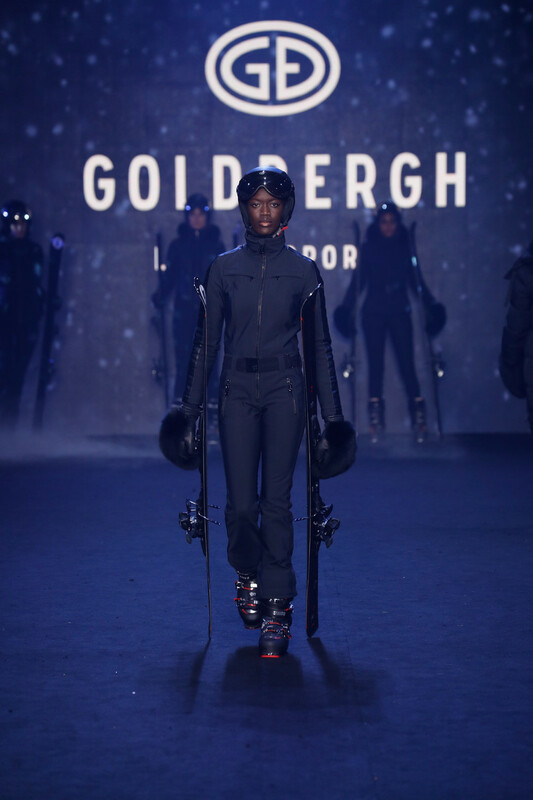 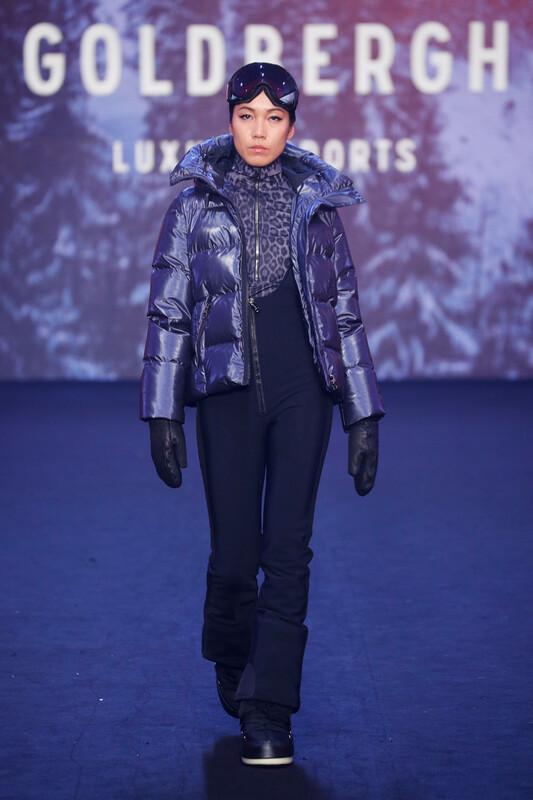 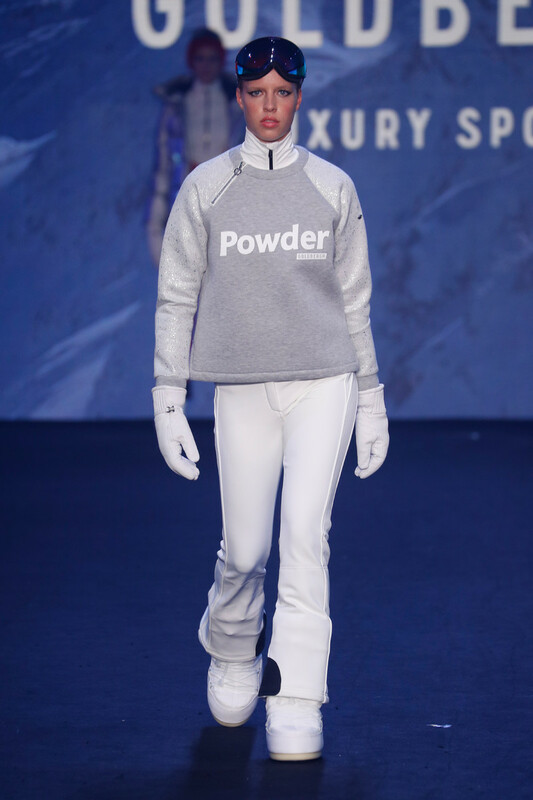 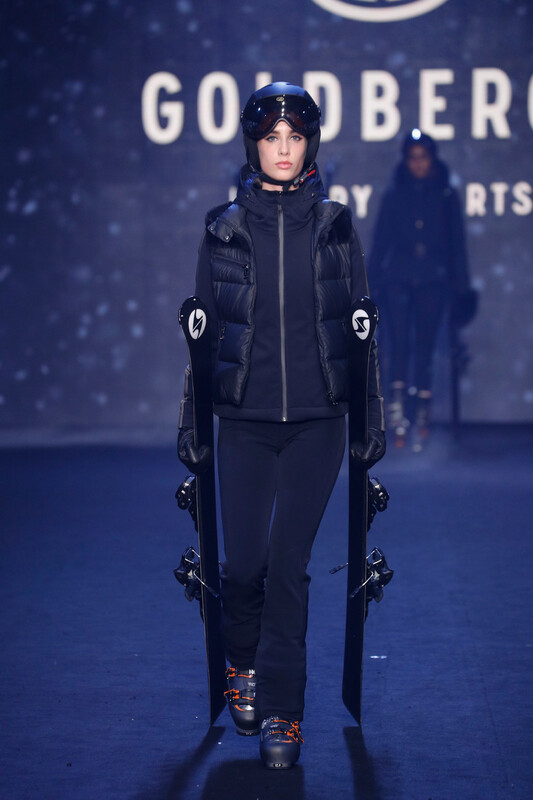 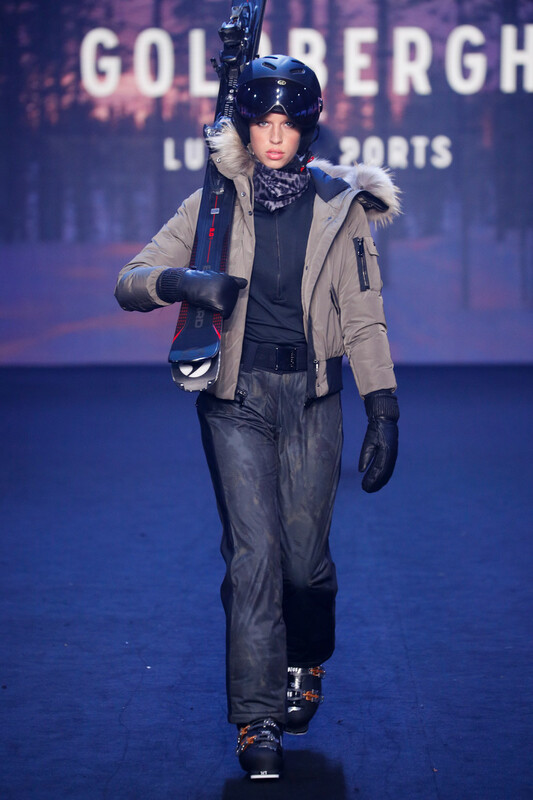 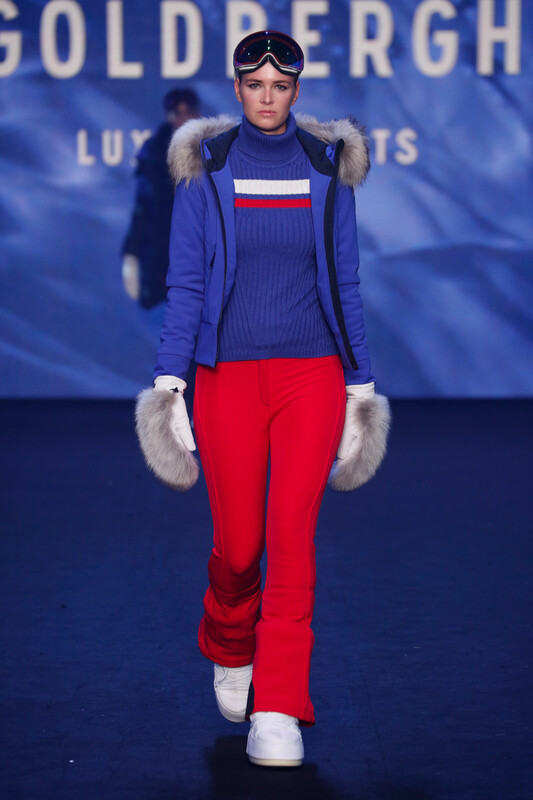 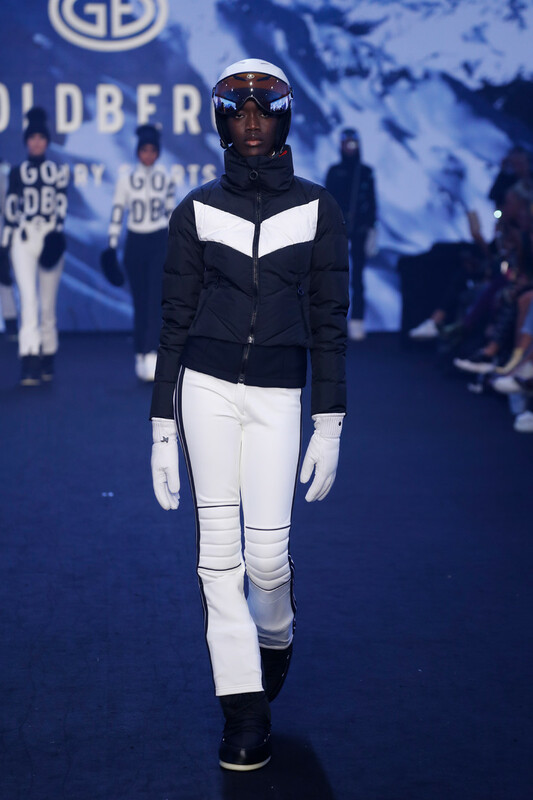 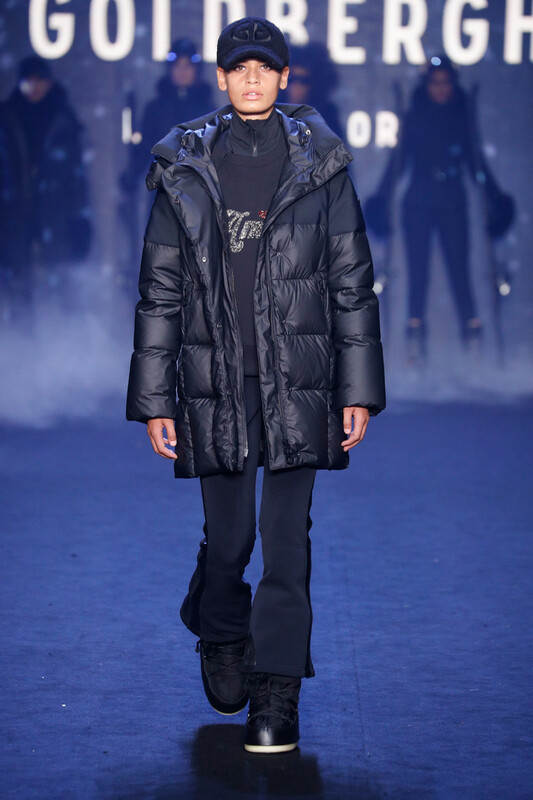 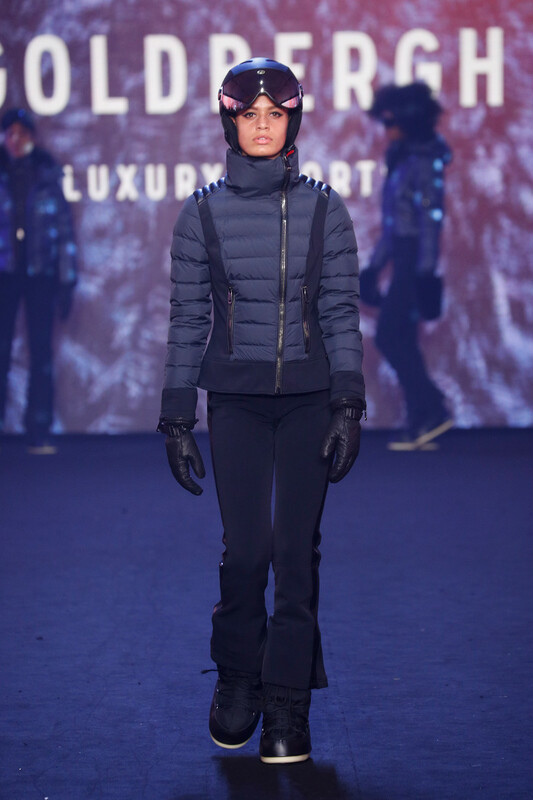 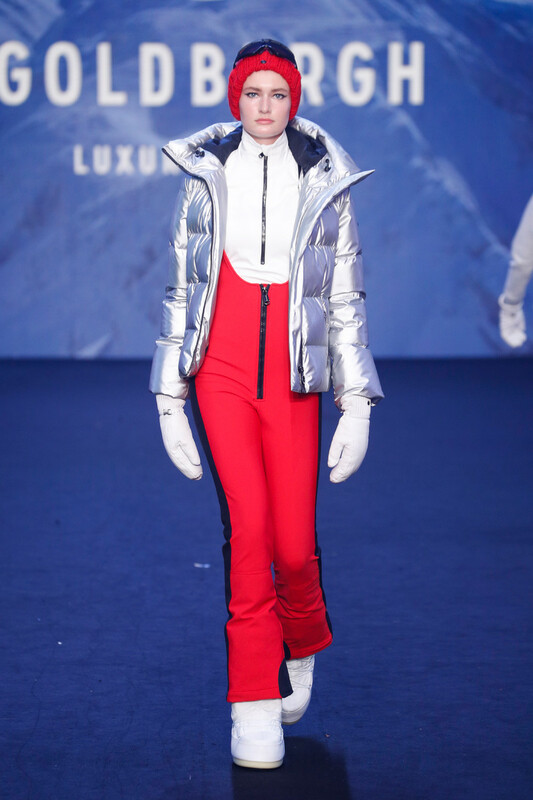 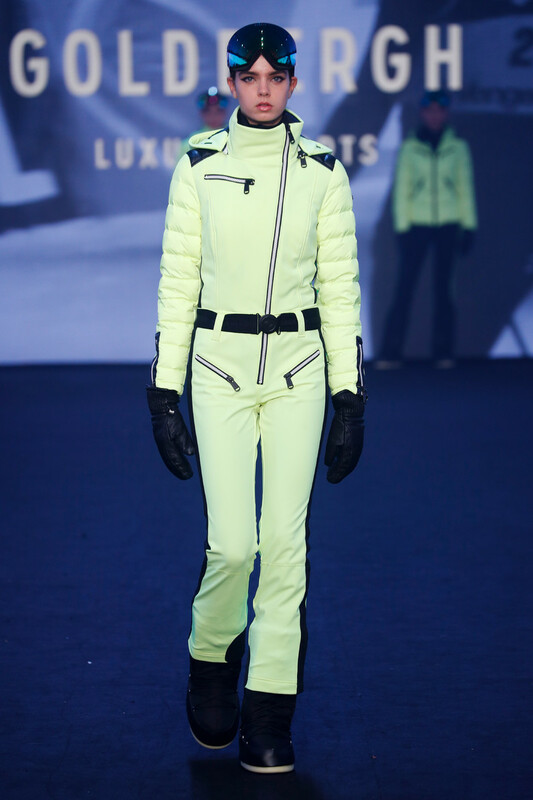 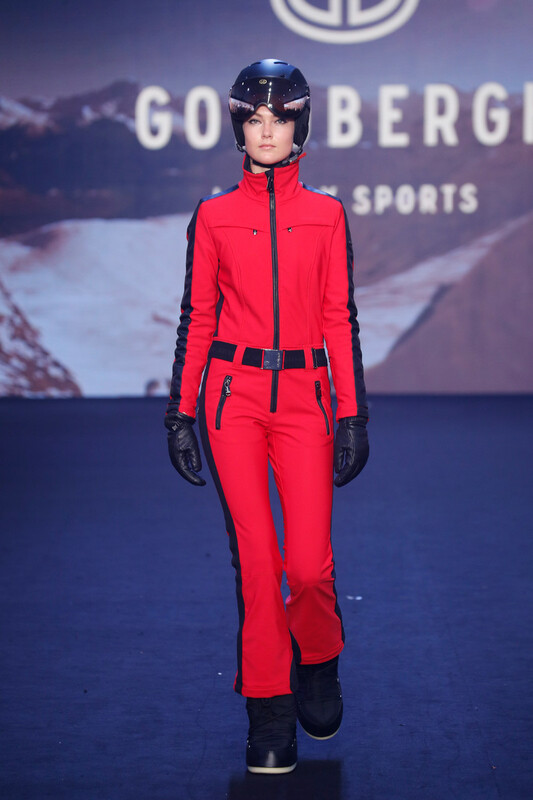 In the past few years they’ve managed to turn Goldbergh into a large luxury sportswear label. 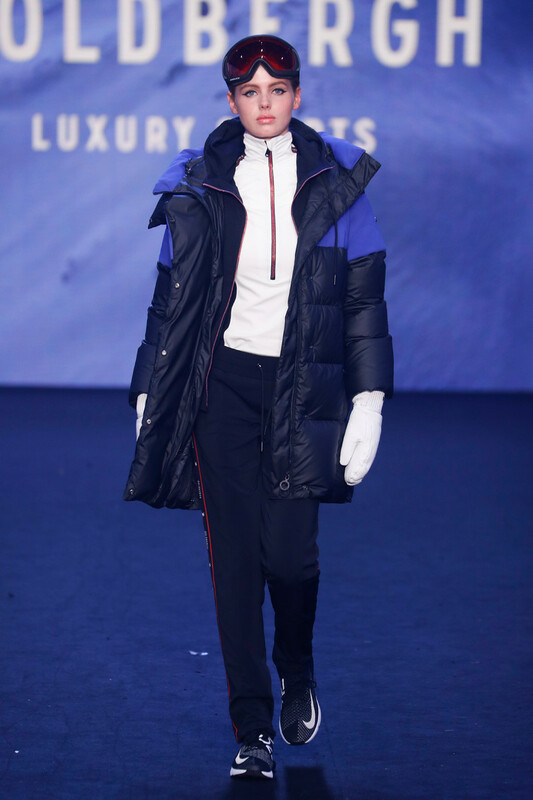 Tonight’s collection proved it’s professional level. 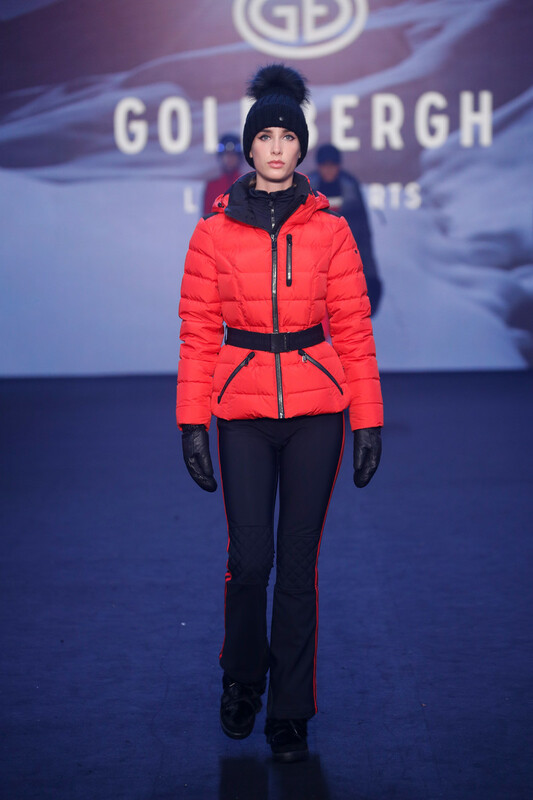 The outdoor collection was strong, cohesive and very appealing. 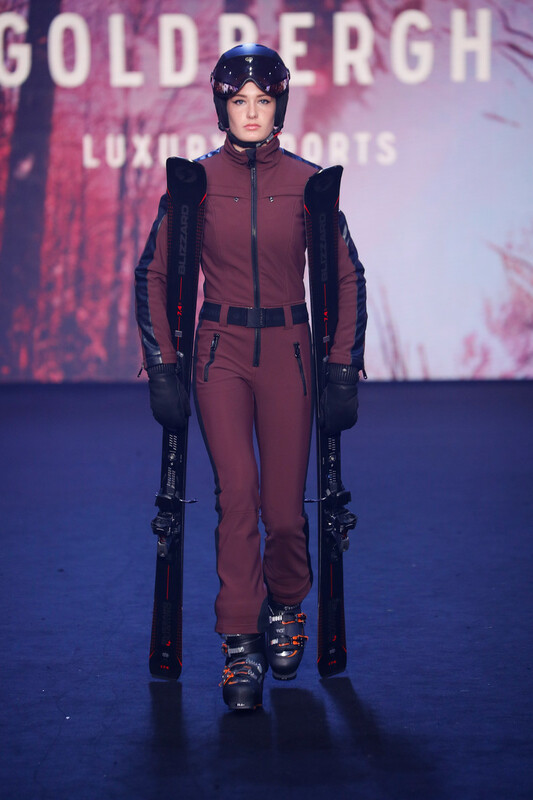 Even the ones who aren’t into winter sports (me) might get excited after watching these outfits. 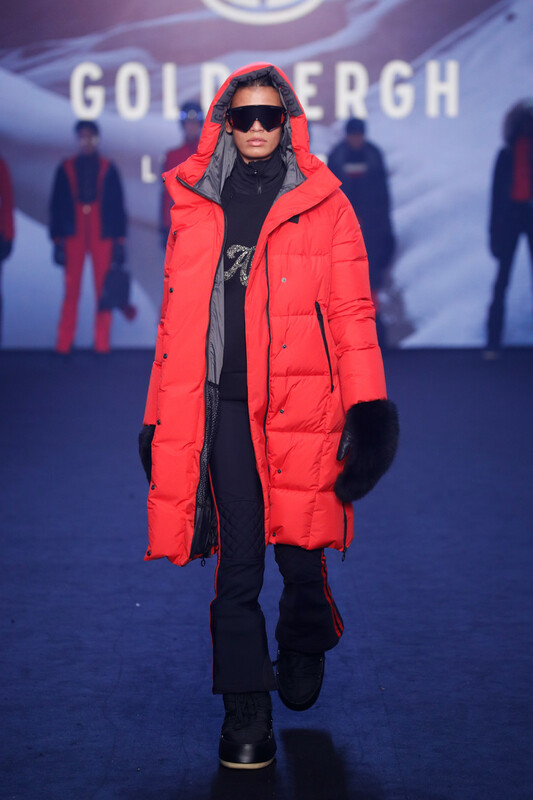 Colorful, original and – even with all those layers and puffy materials – feminine. 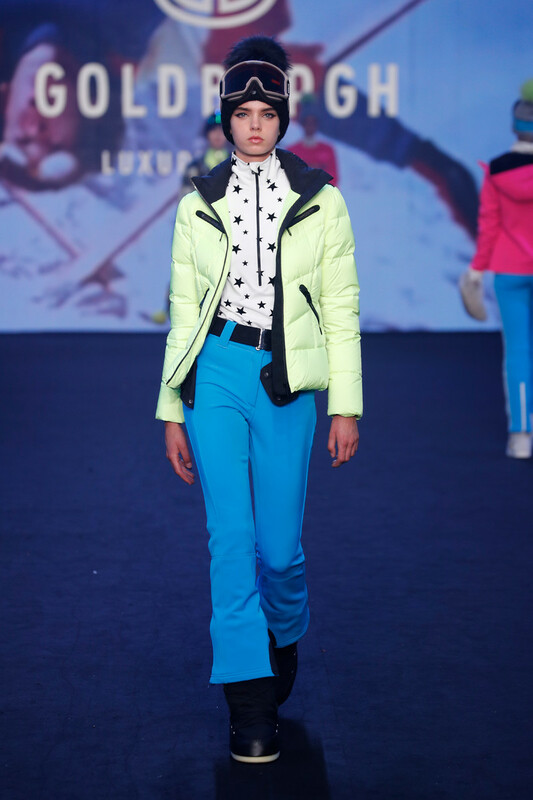 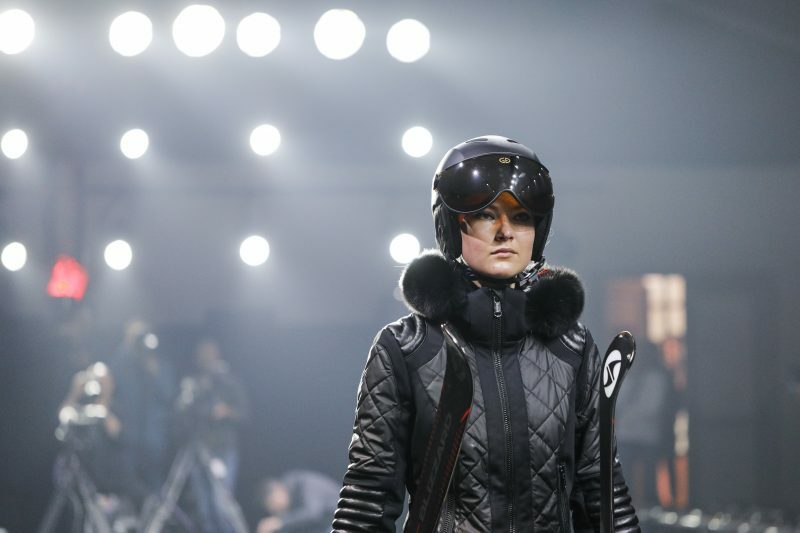 A few trends in the mix too; leopard prints, fanny packs, fur, neon and logos to hit the slopes! 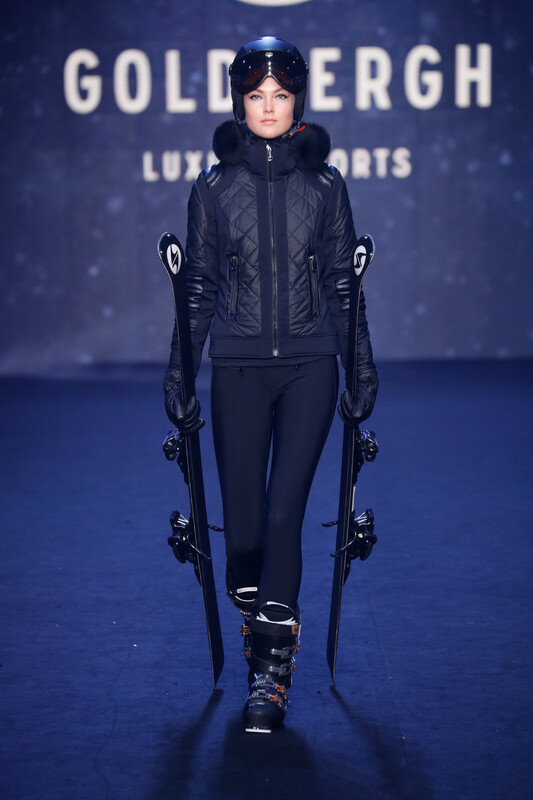 And if you’re not that sporty after all you can just look pretty damn cool while watching the others.